As I've said before, Alice is very popular in Japan. 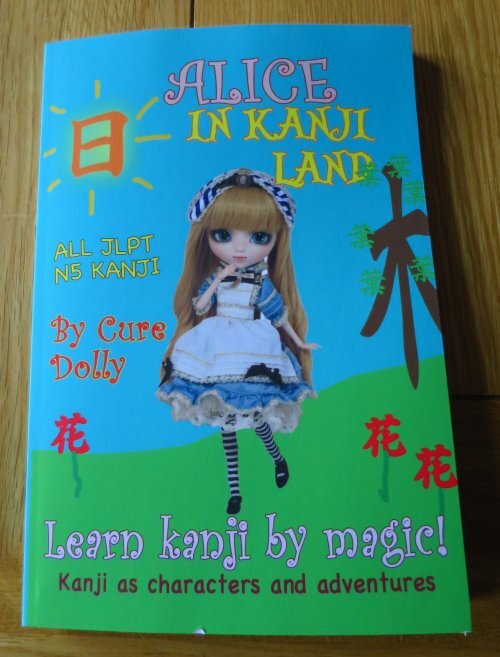 If you're learning Japanese, "Alice in Kanji Land" has been recommended to me by a Japanese learner as very good resource. It takes an original and creative approach to the difficult business of learning the Chinese characters which in Japan are known as kanji . But who is the author? "Cure Dolly," a cartoon avatar, is really - well, er who ....? or what? Hey, I don't know who "Cure Dolly" might be!